A father’s bond with a child is so special! Why wait to start bonding? Although it’s never too late, dad should try to connect with baby right away. Tummy Time is another way to bond with a newborn. Holding baby skin to skin is a great way to bond. Dads (and moms too) can hold baby on their chest during Tummy Time. Not only do you get one on one time with baby, but baby is getting important Tummy Time as well. Although Tummy Time does involve work on baby’s part, it’s fun too! Get on the floor and grab some rattles, toys, and mirrors to play with and hold baby’s attention. Dads also love the ‘Tummy Down Carry’, aka the ‘Football Hold’, to help baby reach an hour of Tummy Time every day. Check out our page for more information on Tummy Time and its different positions. 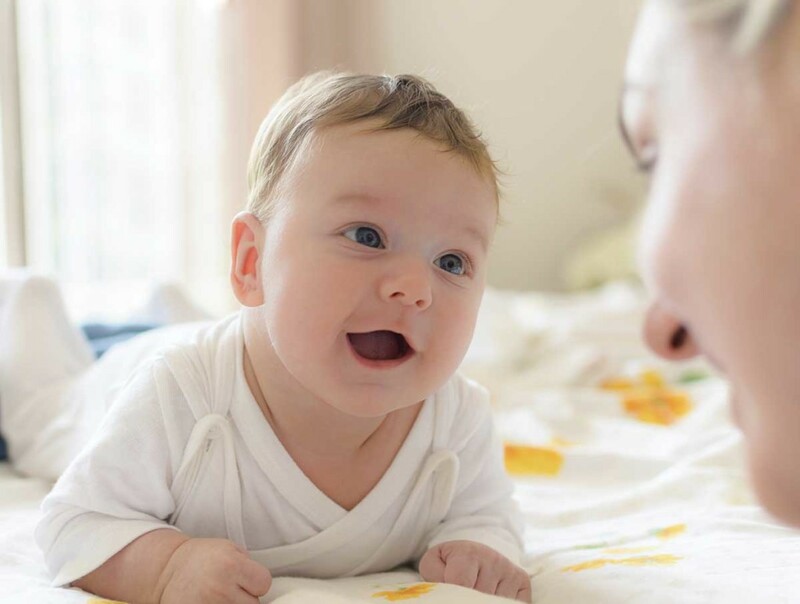 Whether it’s baby massage, Tummy Time, or just a lot of cuddles, spending time with baby and devoting your attention to them is the best way to bond. And if you ask us, it’s the best way to spend the day! Looking for fun activities for Dad and the kiddos to do together? These activities will be a break from the normal weekend routine. Many simple activities can go a long way towards developing baby’s 7 senses. Try these activities to work on baby’s sensory development before their first birthday.